How do we define a “quality installer”? A quality installer knows and understands, firsthand, a wide range of material properties, and their limits. Quality installers have the ability to install complex systems efficiently and on time. Quality installers will take the time to inspect their work when the opportunity arises, in order to analyze which techniques worked and which didn’t. Quality installers practice their craft daily, and know that the learning process is never-ending. Through their interaction with others in the industry, Smith Engineering installers are quick to learn about cutting-edge materials, tools and techniques. The best installers are the ones with the most comprehensive knowledge and experience. Smith Engineering has experienced and highly trained technicians that define a “quality installer”. It is important to identify the details of how Quality Control (QC) procedures should be implemented throughout a project, product or service. This can be accomplished through a comprehensive QC plan.Smith Engineering assures consistent quality of products and services through good QC processes. Planning is the biggest advantage of preventative maintenance over less complex strategies. Unplanned, reactive maintenance has many overhead costs that can be avoided during the planning process. The cost of unplanned maintenance includes lost production, higher costs for parts and shipping, as well as time lost responding to emergencies and diagnosing faults while equipment is not working. Unplanned maintenance typically costs three to nine times more than planned maintenance. When maintenance is planned, each of these costs can be reduced. Equipment can be shut down to coincide with production downtime. Prior to the shutdown, any required parts, supplies and personnel can be gathered to minimize the time taken for a repair. Smith Engineering can help you establish a maintenance program to help decrease the total cost of your systems maintenance. Troubleshooting is the process of diagnosing the source of a problem. It is then used to fix the problem using the basic theories of maintenance and repair. 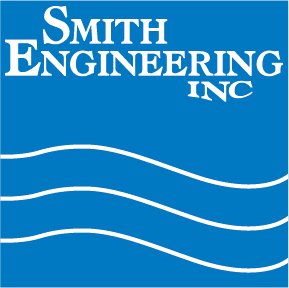 Smith Engineering has the skilled technicians to locate and make repairs to your water purification system. Smith engineering offers resistivity and conductivity monitors on high purity systems that are capable of NIST traceable calibration. This allows for yearly verification/calibration at the customer site with minimal down time. Smith Engineering understands the importance of maintaining accurate quality standards. We also provide a calibrated TOC analyzer for rent to allow the customer to send their online unit out for yearly repair. This allows for uninterrupted monitoring of the water system to maintain continuous recording of the TOC levels. 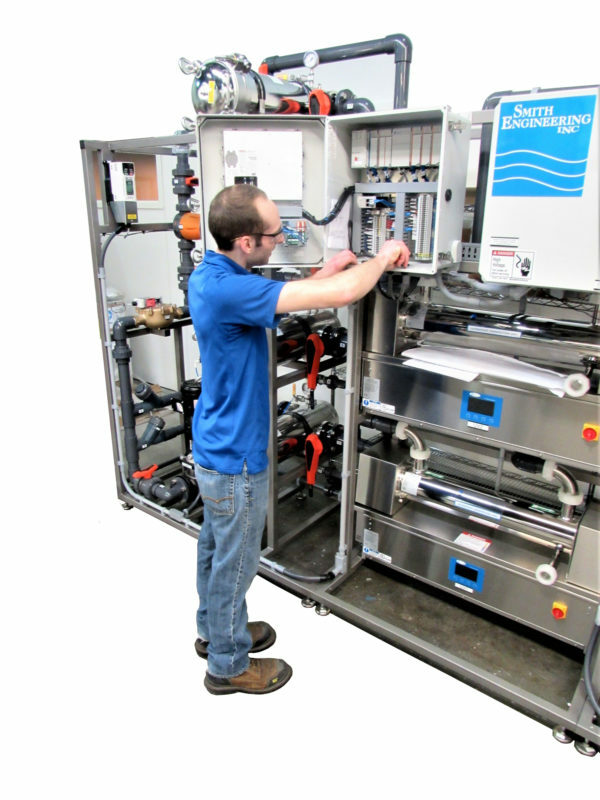 We offer several services for third party systems including filter replacement, membrane maintenance, exchange tank replacement, on-site dation, anion and chelate resin regeneration, on-site waste stream neutralization, system sanitization, technical assistance, ultraviolet lamp and sleeve changes, UV repair, calibration, system upgrades and maintenance contracts.